Corsair®, a worldwide designer and supplier of high-performance components to the PC gaming hardware market, today announced worldwide retail availability of 180GB and 240GB Force Series™ GT SSDs. 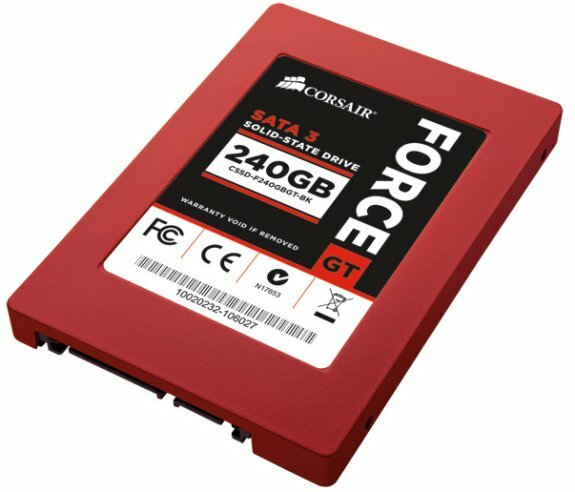 The new Force Series GT SSD models are available from authorized distributors and retailers worldwide at a US suggested retail price of $379 USD for the 180GB model, and $489 USD for the 240GB model. Note that stated capacities are unformatted and actual capacities will vary depending on the formatting and operating system used.